Article by the Christian "The Watchman Expositor"
the hands of Lisa McPherson's family, which has filed a wrongful death lawsuit. The doctor who pronounced Scientologist Lisa McPherson dead pays her estate $100,000. Scientologists and the dead woman's family question the timing of the attorney general's statement. The church faces two felony charges in its treatment of Lisa McPherson. Church officials appear relaxed in the face of charges stemming from the 1995 death of a member at the Fort Harrison Hotel. Colleagues of State Attorney Bernie McCabe say charging the church . . . walks the line between acting too harshly and too weakly. The Church of Scientology requests a jury trial in the case of member Lisa McPherson, who died in 1995. A permit mix-up results in Scientology and its protesters both claiming the right to use a sidewalk near the Fort Harrison Hotel this weekend. Church officials say the Denmark man's allegations lack credibility in a case similar to that of Lisa McPherson. 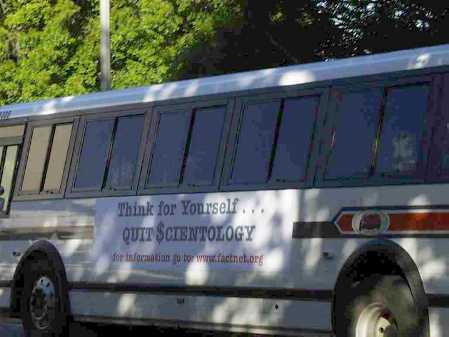 Scientologists say side panels on the buses carried ads attacking their church, violating state law. The church will vigorously battle charges in the Lisa McPherson case, an attorney says.